TravellersTales has been in the LEGO business for several years now. LEGO Batmanis the companys fifth go at the LEGO franchise and little has changedor evolved in that time. Though it offers almost nothing new, fans ofthe Dark Knight and Travellers Tales tried-and-true formula will get akick out of LEGO Batman. Theres a reason this gameplay has proven sosuccessful -- its accessible and enjoyable. But all of the issues withpast LEGO games (nonsensical puzzles, difficulties judging jumps, badAI) are all still here. Nothing has changed. By now, Travellers Talesshould have a near-perfect game. It doesnt. The effort hasnt beengiven to perfecting the formula and the issues are no longer forgivable. 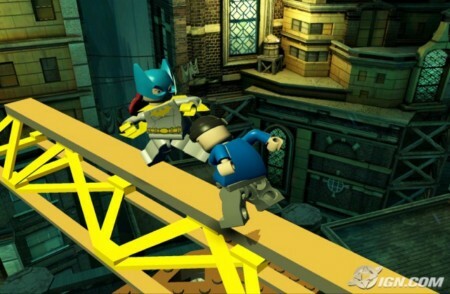 LEGO Batman is unique from past titles in the building blocksfranchise. The story isnt based off a movie or even a comic-book plot.This is an original tale. That gives Travellers Tales some latitude,since theres no need to follow a well-known plot. There isnt even adirect tie-in to a particular Batman universe. This isnt Batman ofmovie fame, the campy TV show or the comics. Its Batman from the toyshelves, which means a sort of hodgepodge of ideas and a myriad ofcostumes meant to sell extra action figures. It translates well intoLEGO, though I wonder if the original four movies wouldnt have made forbetter source material. What we get in the end is a very basictale of villains escaping Arkham Asylum and Batman hunting them down. Itdoesnt get any more complicated than that, but it really doesnt needmore depth. If youre playing LEGO Batman, its because you want tosmash objects and beat up some bad guys. Story shouldnt be a majorconcern. The charm of the LEGO characters is intact and many ofthe cutscenes are funny. Batman remains stoic, Robin is a goofball, andthe villains are all wonderfully insane. The characters are perfect LEGOrepresentations of their comic-book counterparts, but Gotham Cityitself is not made up of LEGOs. The non-destructible structures have amore realistic look. It doesnt quite work though. Gotham City is draband without character. Anything thats not LEGO looks like Anytown, USA.It would have been nice to see a stronger creative vision for Gotham. Ifthe sounds in LEGO Batman are familiar, there are two reasons: Most ofthe sound effects are repurposed from past games, and the soundtrack isfrom Danny Elfmans score for the 1989 Batman flick. Im not sure whyWarner Bros. (who also released the films and owns the rights to themusic) didnt put music from multiple Batman films to offer a morerobust flavor. As is, you hear the same tracks repeatedly, often withoutany connection to the current scene. To its credit, LEGO Batmanthrows everything and the kitchen sink into the mix. Theres a robustcast of characters youll play as throughout the six acts. The firstthree acts put you in control of Batman and Robin. Theres no switchingthings up, but dont worry, each has a number of powered suits that canbe worn that provide special abilities. Robin has a magnetic suit thatallows him to walk up metal walls, Batman has a demolition suit so hecan blow stuff up (he is known for such acts of wanton violence,right). These along with a handful of other suits keep thingsinteresting. The second half of the adventure puts you on theside of the villains. Youll get to see the flip side of each act andlearn how the each member of the Batman rogues gallery sets up his orher master plan. These levels end prior to your showdown with Batman andRobin, I guess to keep the villains from ever having a chance ofwinning. Even though Batmans name is on the marquee, the villains stealthe show. Each Arkham escapee has their own special powers, making eachunique. Poison Ivy can make enemies sick with a kiss, the Joker cangive joybuzzer shocks to anyone he grabs, Mr. Freeze can put anyone intocold storage, and the Riddler can take control of susceptible civiliansand make them do his bidding. On top of the characters available in the story mode ofeach act, there are numerous unlockable heroes and villains who can beused when replaying levels in Free Mode. Nightwing, Batgirl, Hush (anewer Batman baddie from the comics), Man-Bat, and others can all bepurchased with the LEGO bits collected in each level. And there isreason to play levels multiple times, since its impossible to get allof the hidden elements with the default roster. While much ofLEGO Batman is about mashing a button and beating enemies senseless (anddestroying the LEGO environment), there are some refreshing breaks.Just about every act has one vehicle level. In these levels, you controla plane, car, or boat and shoot your way through numerous enemies whileheaded towards a boss battle. This turns LEGO Batman into a pureshooter and while these levels are brief, they provide a welcome changeof pace. 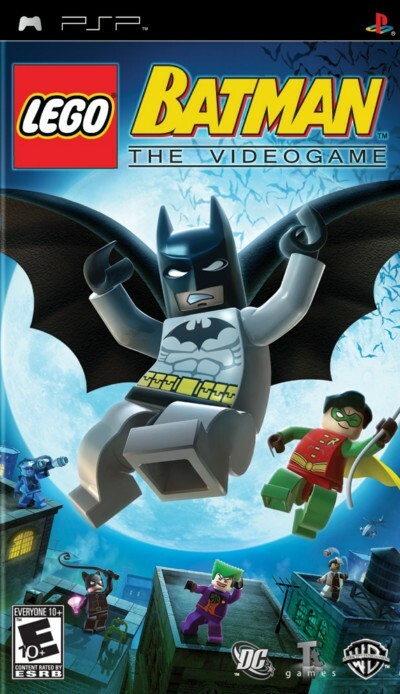 There are a lot of good things going on in LEGO Batman.But, unfortunately, the same problems from previous games are all back.Youll have to go it alone on PSP. Though the manual suggests you canhave a second player by plugging in another controller, theres no waywe could find to actually initiate co-op play. It doesnt exist --unless you can find some controllers for your PSP.... uh, whatever. Beprepared to scream at your dim-witted AI partner. There are numerouspuzzle elements that require cooperation between Batman and Robin. TheAI doesnt always understand what this means. Youll be trying to getthe AI to stand on a platform that will be raised when you pull a switchand the AI will continually jump off before you can do so. Youll findthat you need to be in the perfect spot to get the AIs switch flippedso your partner will know to come assist you with a cooperative puzzle.This isnt rocket science. And if it is, then maybe its time to hiresome rocket scientists. It seems that once in just about everylevel there is a moment where its unclear what youre supposed to donext. This isnt because the puzzles are clever, but because many of thesolutions arent logical. The solutions often seem random, and when youdo finally figure out that youre supposed to jump on top of a floweror that there is a hard-to-see lever that needs to be pulled, theres noa-ha! moment. Instead its, Are you kidding me This isnt exactly anew phenomenon to the series. Its bad level design and theres noreason for it in the series fifth iteration. The most egregiousoffence is the complete lack of co-op play. LEGO games are best whenplayed with a buddy. Not having that option takes away a great amount ofthe appeal. Its not as if it hasnt been done before. Leaving it outis a disservice to gamers. 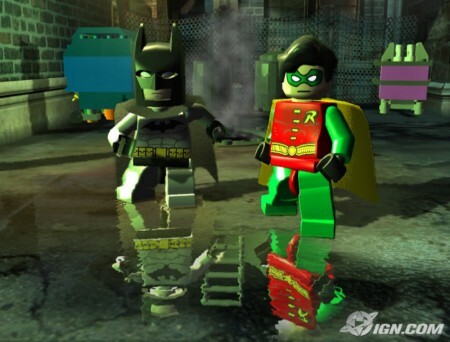 LEGO Batman is goodfun, but its really just the same thing weve seen before. I dontthink the LEGO formula needs much of a change, but certainly the commonissues with the series should no longer exist. The complete lack ofco-op is a major gaff. LEGO Batman USA PSP-pSyPSP Download via Hotfile Rapidshare Fileserve Megaupload & FileSonic, LEGO Batman USA PSP-pSyPSP free torrent downloads included crack, serial, keygen.